Wily(15.10) has already fixed the driver part, and the firmware part is in progress. This is on a fully updated Ubuntu Server 14.04 installation, with the ubuntu-desktop environment installed. This happened in order to get the md raid drivers for raid0 on my system, as the desktop version doesn't support them. I installed the latest x64 upstream kernel as well as the headers for it from the link you provided. I got to the login screen, and after I entered my password it just hanged there and I never got to the desktop. I tried one more time, and this time I did not enter my password. I used the top bar to connect to the internet in the login screen but wifi was still not recognized. Hence, I just added the tag kernel-bug-exists-upstream. Let me know if I should have used the second one you mentioned. P.S. : I just noticed that during the booting time I get a message saying that Bluetooth is not available either. I guess that doesn't have a proper driver either. Not sure if it's the same device or not. Would that be any different for you? Meaning we have the same card and same OS? Ok I managed to try the 3.18-rc1 kernel. The nvidia-343 driver fails to build for this, so that's probably why you couldn't log in. Testing in a virtual console, no wireless interface was up. I just updated to Ubuntu 14.10 and the problem persists. Bluetooth is still not working either. same here: new gs70 with killer n1525 with ubuntu 14.10 and no wifi... is there a work around with compiling/installing something by hand? This card (N1525) is also used in MSI GS60 laptops. But knowing that the killer E2200 didn't make it into the kernel until 2013, I think it can take a long time to get the N1525 working under Linux. 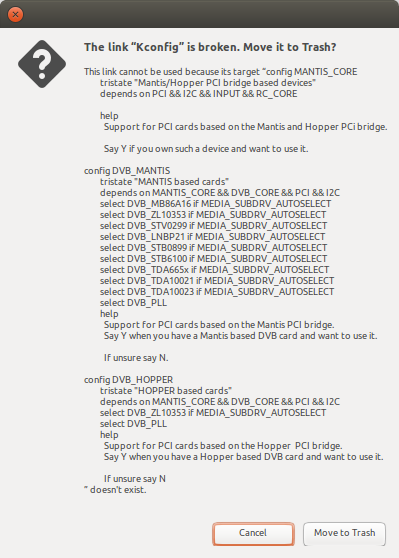 Meanwhile, you could buy an Intel card or another Atheros card which already works under Linux. At least you know that your laptop antennas are prepared for working under 5 Ghz band, if you need. It's something cheap, $50 at most. It's a really good piece of hardware and it is, in my opinion, a shame to replace it with something inferior. It works great on Windows and as I'm using it there I'm willing to stay ethernet-only on linux until it gets supported. I can't imagine its technology being majorly different than its predecessors, so hopefully it will not take years! New Acer Aspire V17 Nitro Black Edition with Ubuntu 14.10 and no wifi. But, bluetooth is OK.
Hmmm how can your bluetooth be OK, Zemistr? Are you sure you have the same card? Have you manually installed some bluetooth driver? Bluetooth pretend like it is OK, but nothing found. Even my phone does not find my notebook. I have a new clean install of Ubuntu 14.10. How do I know if I have the same hardware? You can look at the manufacturer's specs for an exact model of the wifi card. If that's the driver you installed for windows then maybe you DO have the same one, or at least a really similar variant! For me the bluetooth icon in ubuntu (tray) does not even show up. All MSI late 2014 and 2015 models are affected. I'm on an Acer Aspire VN7-591G and Ubuntu 15.04 (Vivid dev) with kernel 3.18.0-8 and while wifi doesn't work, bluetooth *does*. It pairs and can send files to my smartphone. That's some good news. At least something got fixed! I hope somebody will take a look into the WiFi too at some point. Thanks for then info Johannes. Yet another disappointed Ubuntu fan the bought an Alienware 13 and frustrated I can't run ubuntu because of the Qualcomm Atheros killer wireless card. Hope the driver comes out soon! Upgraded to 15.04, removed dkms as noted (worked fine in 15.04), and copied the files as noted in the description (historic: For now, you guys could use 15.10(purge the ath10k-dkms if you tried installing it), and make a copy of https://git.kernel.org/cgit/linux/kernel/git/firmware/linux-firmware.git/plain/ath10k/QCA6174 into /lib/firmware/ath10k/). I now get the attached in dmesg when connecting to a network. Seems it's crashing? Update: Seems this only happens on 5Ghz, 2.4ghz works fine. Yet, under 15.10, no web pages open in any browser - just dies. can't go to google, yahoo, or anything, even though everything looks exactly the same as under 15.04. The only differences i noted were the following lines in dmesg. anyone patient enough to kindly let me know what i could have possibly stuffed?? Even though I'm sure this isn't the answer you are looking for, could you please make sure this is not a router problem? I mean, do you have access to the internet over the same wifi connection on another device? Kind of sounds like you've actually got connected to your modem/router but you do not have outside world access. I am sorry if this doesn't help and the issue persists. I'm sure someone with more knowledge than me will be able to help you further. Just my 2 cents. I'm running arch, but still I seem to have the same issue as Thomas (chevrier). In the last day or two it's gone from slow but stable (6mb/s on 5ghz) to downright ridiculous. It is connected to the router, but drops connections left right and centre. Seems to work better on 2.4ghz but then I'm getting a report 1mb/s. On windows i'm getting nearer 300. This isn't a router issue, it's a wifi card issue. Sounds like me and Thomas are experiencing the same thing. same laptop, same config, same everything. As i explained in an earlier post, Adam's dkms package worked perfect for me with ALL ubuntus (i have quadruple boot, win 10, 14.04 LTS, 15.04 and 15.10 beta final). I had kernel 3.19 installed and booted. see my post #300. Definitely stupidity, but by mistake, i issued sudo apt-get autoremove and lost the magic 3.19 kernel under ubuntu 15.10. Reinstalling "manually" 3.19 (i.e. not via synaptic) has not helped. :-s and it's after that that i have been wifi deprived - weird. Everything is also identical to what i get here under 15.04, except that i am not accessing anything on the www! :-( i can use any browser to go to yahoo or google and it just dies after a long wait. Really baffled by what is happening... could it be related to the duplication of places where to get the firmware files?? i used the location provided by the last guy above to say it worked for him.... maybe i am not using the correct files? that's the only thing that should be different, since i copied the file as instructed whereas for 15.04, which i am using to type this, i am using Adam's dkms. could that be the issue? somehow using adam's package my card gets properly identified as killer-n1525, while it's not when i just use those recommended files? maybe i am just talking rubbish here - apologies if so. I obviously don't really know. Someone has an idea ? Maybe there is a link with the fact I tried several drivers, like backports, ath10k, and ath9k ? Someone know what I would need to do in order to the deb package to work like everyone else ? I really need a solution for this, as this computer is used to make simulation on a cluster, and I need to be connected to the server ! Manu thanks for your help!!!! Max - can you provide some details at which exact steps you took, what kernel you use, what you tried etc? Adam's solution is definitely working. As a matter of fact, I just tried a fresh 15.10 install and it's working fine. Just followed steps and is all fine. I just don't understand why my other 15.10 install just won't work. I did remove the dmsg-ath10k package. really confused. let us know max, so we can help properly. see above posts. first, as with a fresh install, it won't exist. reboot and your system will have wifi. revert if you experience any difficulties. > p2p1 no wireless extensions. > lo no wireless extensions. Accepted linux-firmware into wily-proposed. The package will build now and be available at https://launchpad.net/ubuntu/+source/linux-firmware/1.149.2 in a few hours, and then in the -proposed repository. Works fine for me on 14.04. Adding verifycation-done tag based on positive test results in comments #325 and #326. Has anyone done proper testing of this on 5GHz wifi networks? Im getting a firmware crash on the 5 GHz network at my university (see attachment) with Kernel 4.2.0-16. After this one i tested the testing-firmware (SW_RM.1.1.1-00157-QCARMSWPZ-1) from the ath10k-firmware repository too. It didnt crash but i wasn't able to connect either. I am currently on a 5GHz connection and it seems fine. I am not sure what counts as proper testing, though. adam's copy paste suggestion from earlier posts. Nomal wifi networks work fine. > attachment) with Kernel 4.2.0-16. > didnt crash but i wasn't able to connect either. > ** Attachment added: "WLAN.RM.1.1-00141"
from the above fix, I am still not getting the wireless. There is no mention of Kernel driver in use. How can I get the kernel driver for this device included? Nice work, Killer Wireless-AC 1525 is working great with solution #209 and installation of dkms before. However, all my wireless usb adapters do not work anymore... I can see them with lsusb but they are not present in iwconfig or ifconfig. Seems like all other wifi drivers are failing. Any solution to get them back? Is there any update on the dmks yet? The current status hasn't changed for some weeks now and I am still having this issue with 14.04. Thank you f0cks for pointing that out. This doesn't really work for me... I never had the dkms installed... would that make a difference? Or would I have to also make all steps of post 209 maybe? now it seems ath10k is not loading. it lists in lsmod, but networkmanager seems to not care. maybe this is a network manager problem, not for this post? Sorry, it says "willy should work" but it doesn't for me . network-manager can SEE all the wifi AP (both n and ac) BUT can only connect to the n. When I try to connect to ac, it asks me for password, then after some time request the password again. At this moment I can't connect to any AP unless I enter sudo network-manager restart . Basically I am stuck with 802.11n now.I also bought other WIFI USB dongles with 802.11ac but none were working correctly. [ 20.121135] ath10k_pci 0000:05:00.0: no channel configured; ignoring frame(s)! For more on this, please see https://wiki.ubuntu.com/ReportingBugs . Still unsupported as of 16.04 and yakkety for my hardware (Dell Latitude E7270). Still an issue even four years later. [ 4.309354] ath10k_pci 0000:01:00.0: board_file api 1 bmi_id N/A crc32 ed5f849a"
The only thing which is missing is getting this added to https://wireless.wiki.kernel.org/en/users/drivers/ath10k/boardfiles . My problem is that I dont know how to read the board files and modify them because I do not know the encoding they use. Any ideas how to get this solved? This terminal ouput is from a Surface Go. Also there have been some updates in the upstream linux-firmware repo. https://git.kernel.org/pub/scm/linux/kernel/git/firmware/linux-firmware.git/commit/?id=a87eb5f7bac0f70ade57da57d9126d14eee12336 and https://github.com/kvalo/ath10k-firmware/tree/master/QCA6174/hw3.0 but they also do not help to get the wifi card working. Displaying first 40 and last 40 comments. View all 352 comments or add a comment.